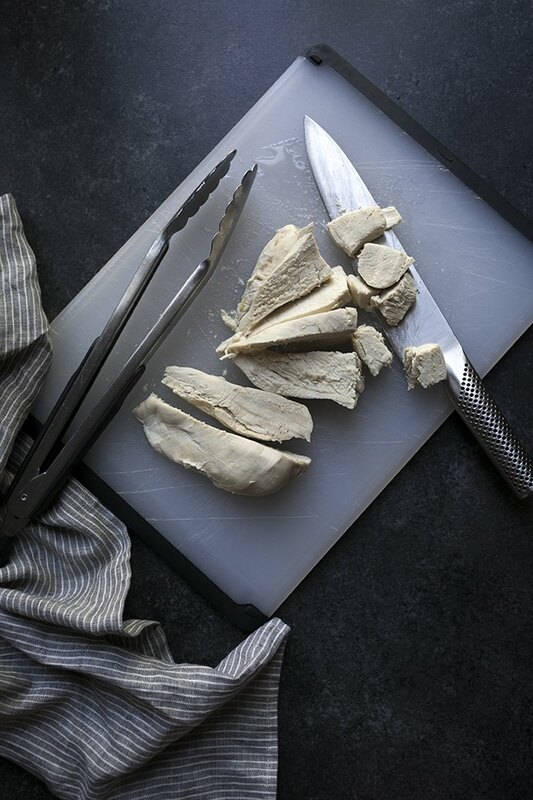 Poaching is an excellent cooking method to use when preparing meat for various dishes such as chicken salad. 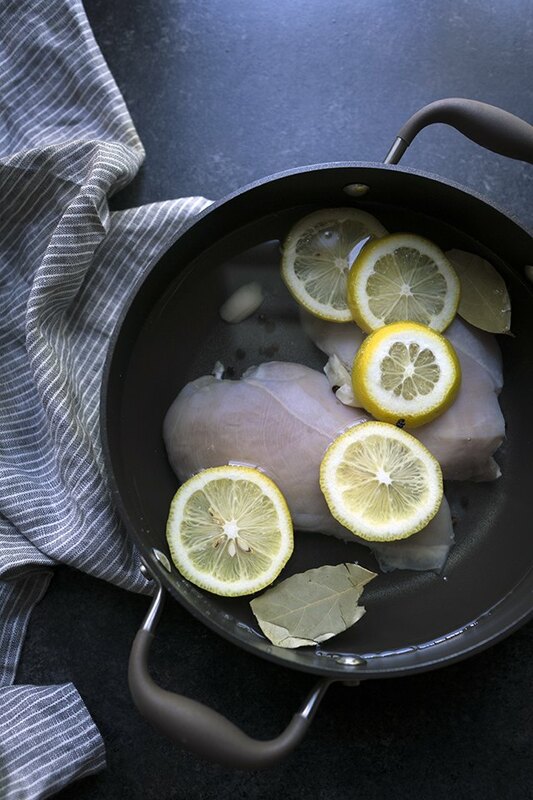 Boneless skinless chicken breasts have a tendency to dry out very easily, and wet cooking methods like poaching are ideal for retaining moisture and infusing subtle flavors. Starting with cold water keeps the meat from seizing up, and the technique yields perfect results everytime! This recipe can be scaled up or down depending on how much chicken you need depending on your recipe. 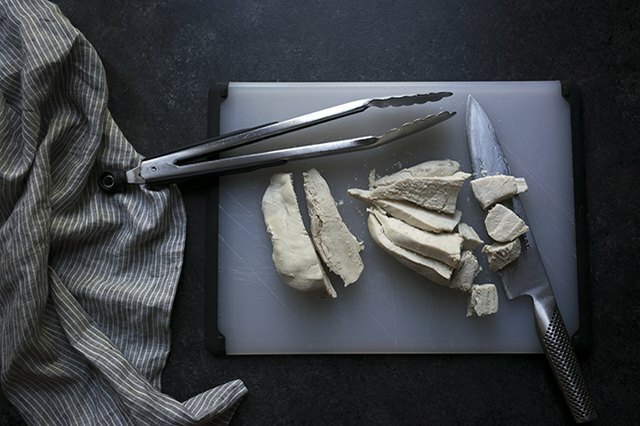 Technically, the only required ingredients for poaching are chicken breasts and cold water. Everything else adds a subtle flavor enhancement. However, at the minimum I do recommend adding the peppercorns, salt and lemon slices. It's important that the internal temperature of the chicken reach 165 degrees Fahrenheit, so a thermometer is important to have on hand while cooking. 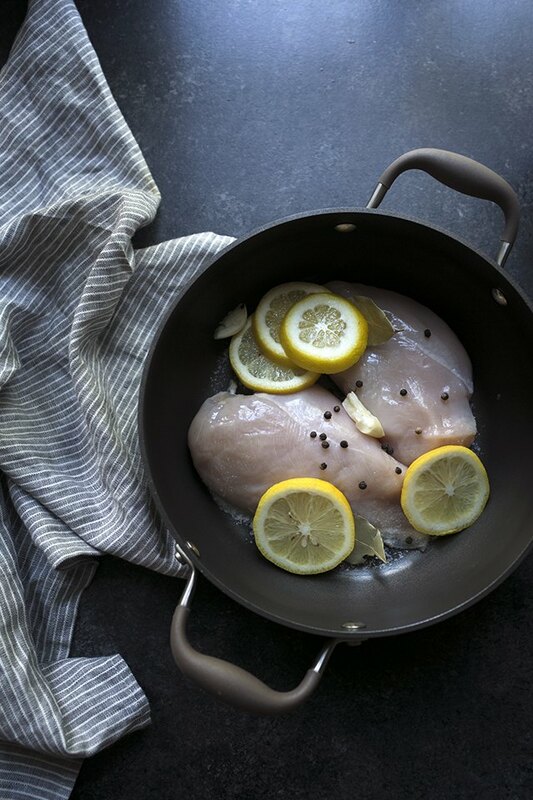 Place the chicken in the bottom of a Dutch oven or large saucepan. Top with the peppercorns, salt, lemon slices, garlic and bay leaves, if using. Cover the ingredients with cold water by at least 2 inches. The chicken should be completely submerged. 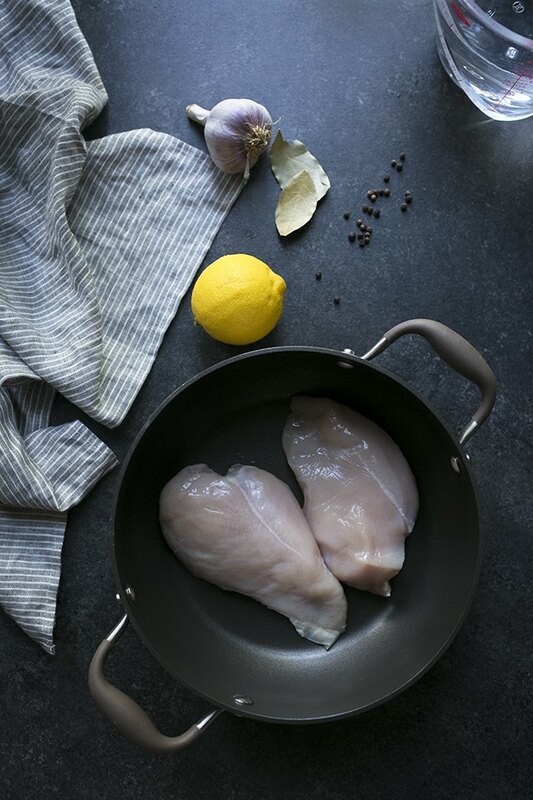 While it takes more time to poach the chicken when starting with cold water, the final results will be more tender and juicy. Place the saucepan over medium-high heat and bring to a simmer. Cover the pot, reduce the heat to low, and cook until the chicken reaches an internal temperature of 165 degrees Fahrenheit, approximately 8 to 10 minutes. Dice the chicken. It's ready to use! Here's a simple, delicious chicken salad recipe to get you started.